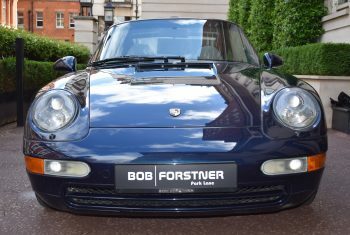 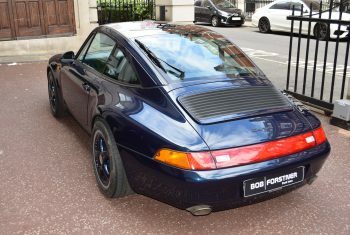 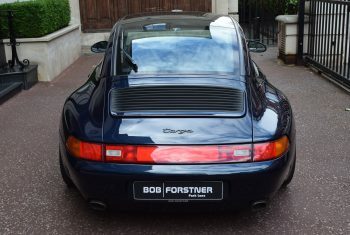 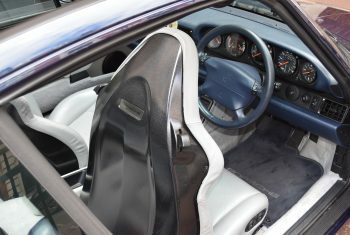 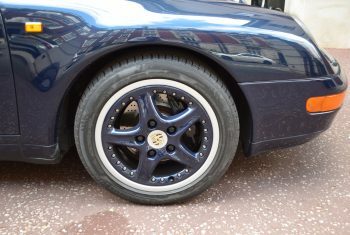 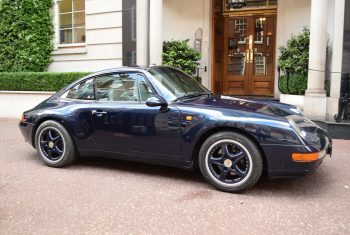 The external design of the Porsche 993, penned by Englishman Toni Hatter, retained the basic bodyshell architecture of the 964 and other earlier 911 models, but with revised external panels, with much more flared wheel arches and a smoother front and rear bumper design, an enlarged retractable rear wing, teardrop mirrors, but keeping the doors and roof panels. 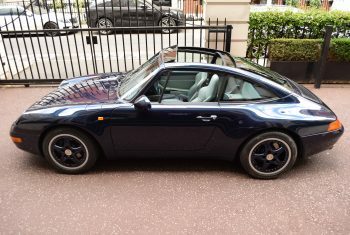 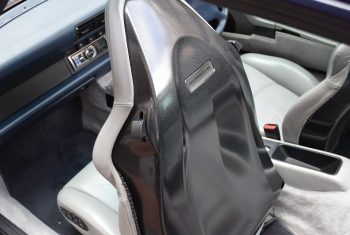 The Targa version of the 993 was introduced in model year 1996 and saw the debut of a retractable glass roof, a design continued on the 996 and 997 Targa. 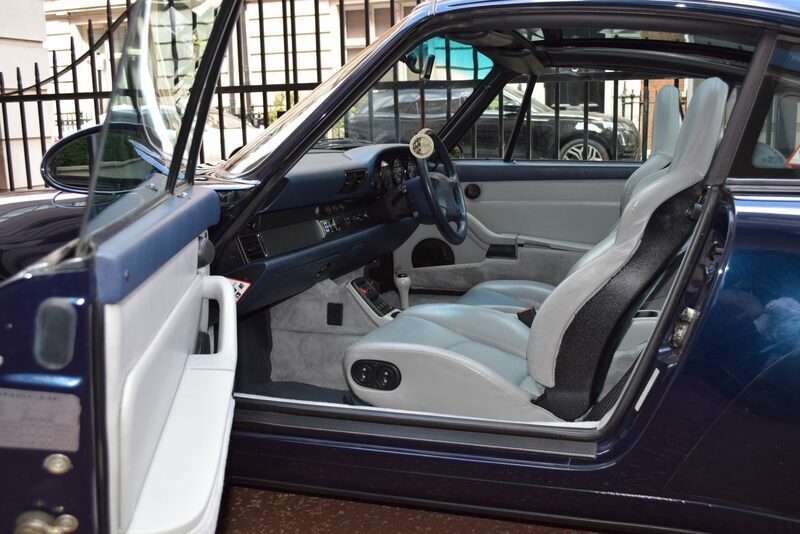 The glass roof would retract underneath the rear window revealing a large opening. A shade was there to help prevent the greenhouse effect of the closed roof. 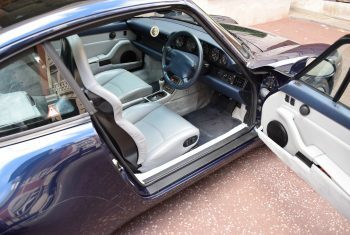 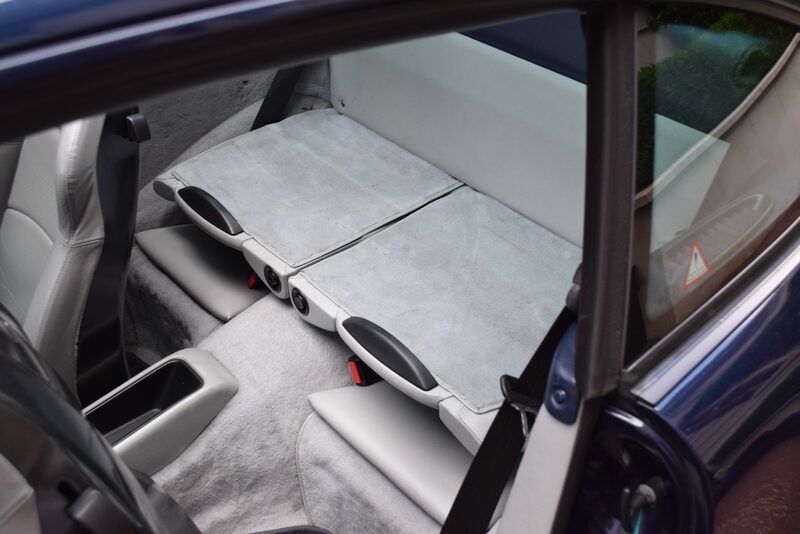 This system was a complete redesign, as previous Targa models had a removable roof section and a wide B-pillar functioning as a roll bar. The new glass roof design allowed the 993 Targa to retain the same side-on profile as the other 911 Carrera variants and finished with the inconvenience of storing the removed top of the old system. 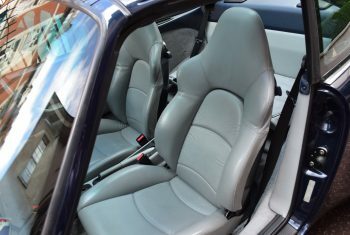 The Targa has the body of the convertible with the Targa glass roof replacing the fabric roof. 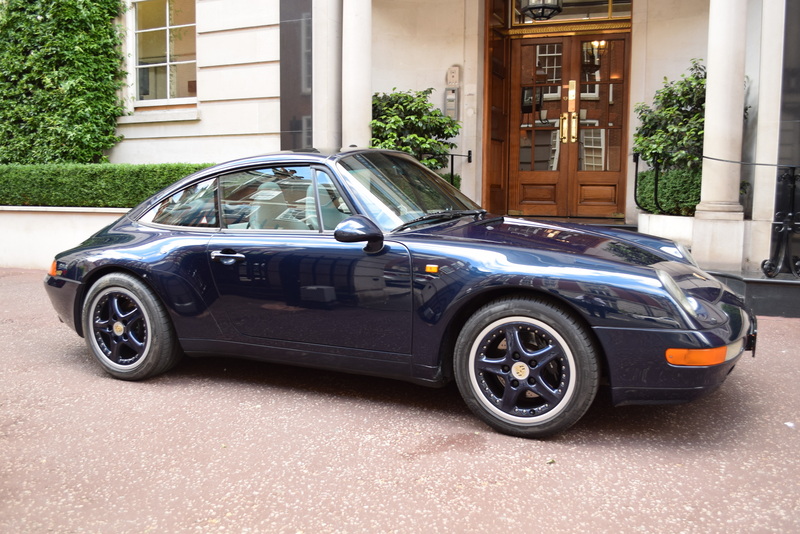 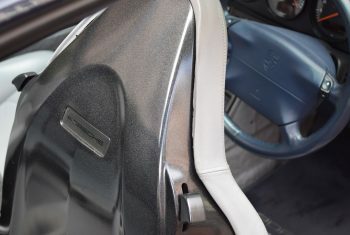 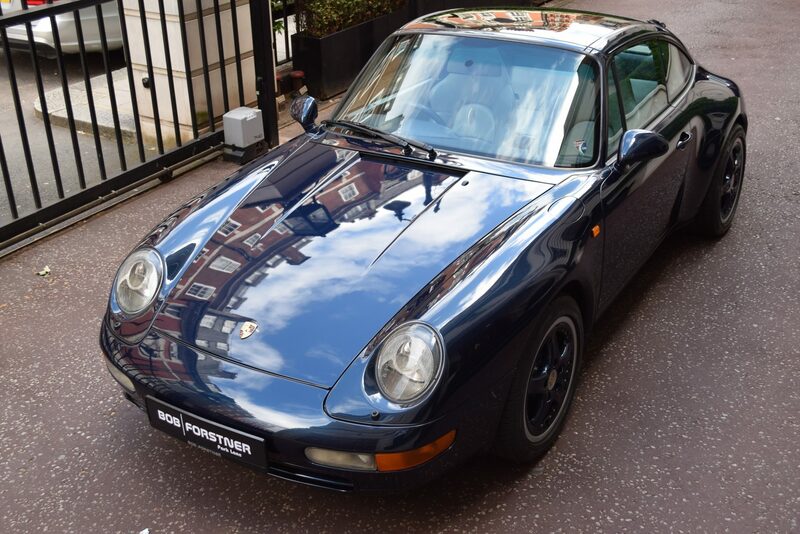 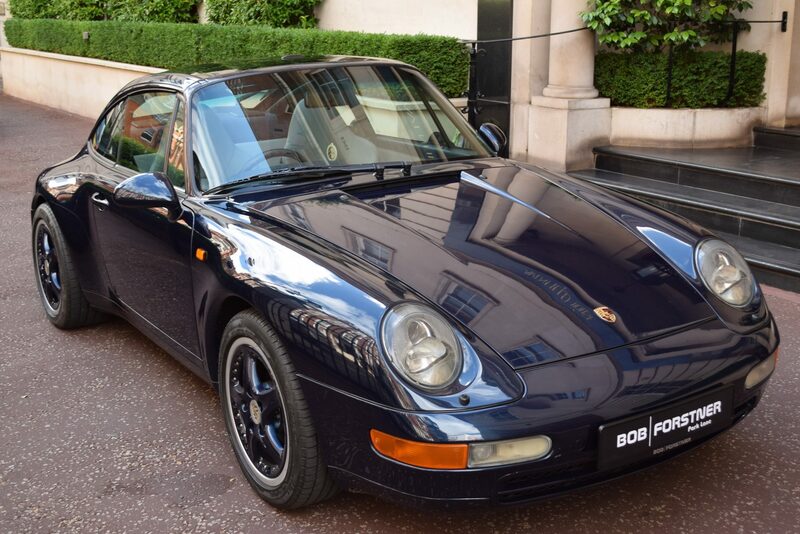 Apparently, only 201 RHD 993 Targa Tiptronic S were ever built and this is one of 81 1997 model year cars. It is equipped with the more powerful Varioram engine derived from the Carrera RS. 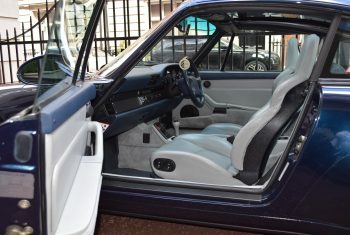 This lovely example C 16 UK car was delivered by Porsche West London (AFN Ltd.) and first registered on the 9th January 1997 and finished in the stunning midnight blue with a marble grey hide interior. 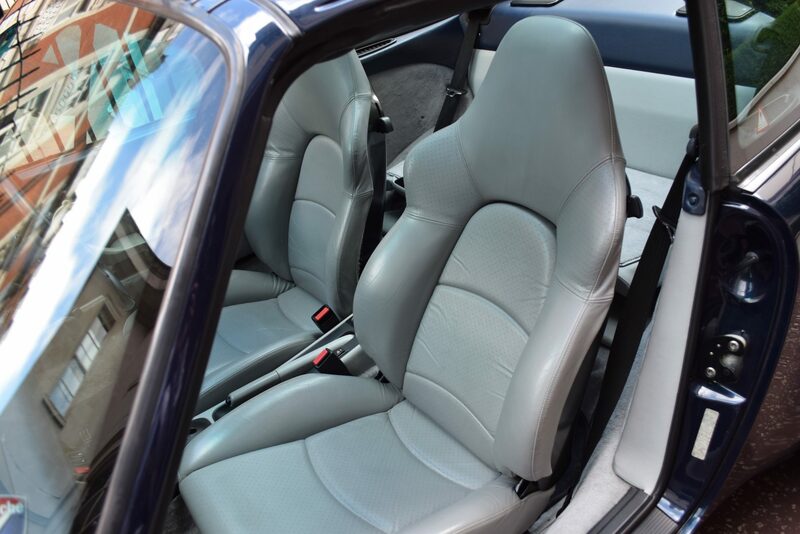 Well maintained and cherished with comprehensive service history. 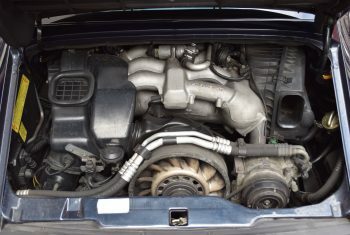 The car has now done about 112900 miles. 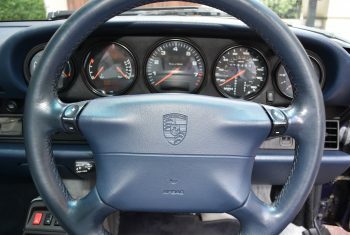 It comes with all the books, two sets of original keys, tools, jack etc. 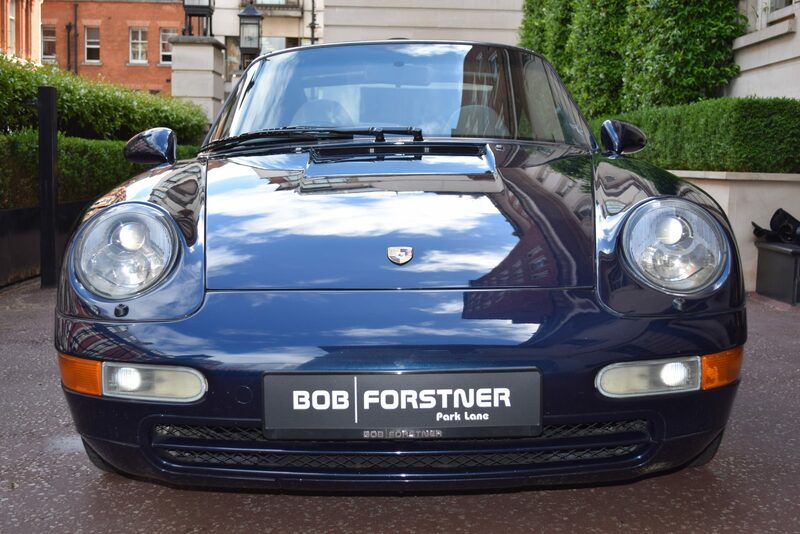 A truly beautiful and very desirable 993, the last of the air cooled 911s which are appreciating very fast indeed.